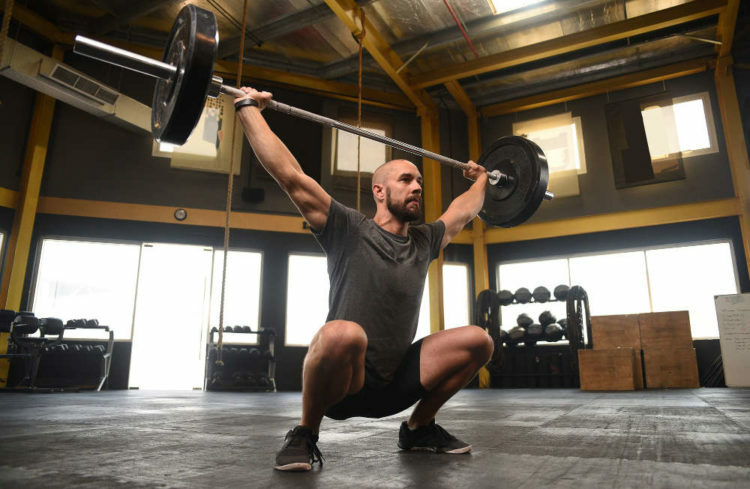 Hopefully you read Part 1 of this article to get an idea of the challenges we see for the average lifter who is looking to implement the style of programming and training outlined in The System who might be entering the second phase of training life into their 30s and beyond. 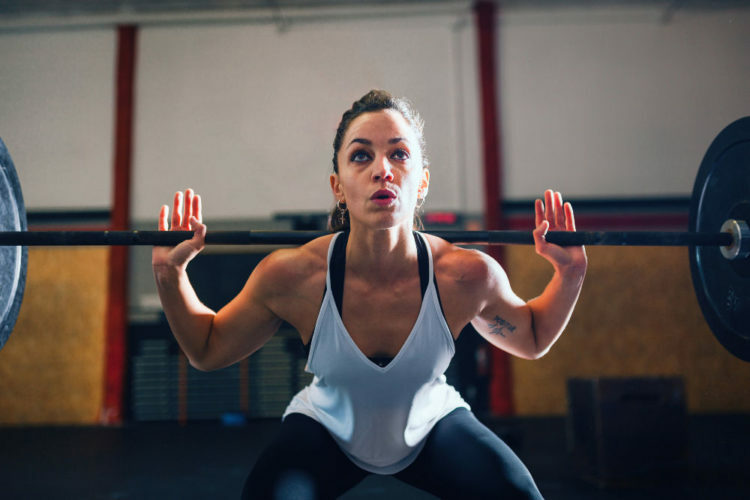 What we said is that time and the physical limitations of an aging body are the two real limiting factors in designing any program based around developing strength and power. It would probably require another entire book to really iron out all the details of the programming, but, by reviewing the larger principles of The System, you can program efficiently and get the biggest bang for your buck. For the majority of older lifters, it’s necessary to establish a baseline just like our athletes. Even if you’ve been training regularly for years, it’s valuable to set aside one or two months to re-establish good movement quality and a base of work capacity. Focus on movement first. Start with a dowel or unloaded bar and start working on overhead squats, single leg squats, and barbell complexes and determine some rough 3RM values for the primary lifts of the bench press, squat, Romanian deadlift (RDL) and the clean. You may need to perform some of the movements through an abbreviated ROM. Some may take longer to refine than others. The time spent here is not time lost. Strength isn’t the only metric to focus on, and improving overall mobility and control is going to pay dividends long term. If at all possible, try to either video your performance of the lifts from the side and the front/back or have a coach or experienced lifter watch your form. If you can’t get to a good position with good form in any of the lifts, then you need to start from the bottom. Perform 3 sets of the complex, and then you can add one or two supplemental lifts per workout for the area of your choice (I recommend something for the muscles on the backside of your body). Your goal is to work your way up to performing 4-5 sets of the complex with at least 30% of your bodyweight, and it will probably take you longer than the 3-4 weeks we outlined in the book. That’s fine. Once you pass muster, then move on. With our programming focus, it’s about performing a needs analysis on what your training should look like. You can’t undo hours of bad posture in an hour a week of exercise (particularly if the focus is on exercises exacerbating the problem). Once you have established a solid foundation of movement, mobility and general strength and endurance, then you can progress into the higher intensity work to develop strength, power and speed. The same can be said for the exercises you select. Start with simple, compound barbell lifts and gradually progress to more challenging positions and movements. Big, multi-joint, compound movements train the body to move as a unit. They stimulate larger hormonal and neurological changes compared to isolation exercises. They allow heavier loading and elicit a greater physiologic response than isolated, single-joint exercises. They’ve been known to develop some of the most impressive physiques in history. Really, we shouldn’t have to convince you anymore, but unfortunately other than bench pressing, most of these movements are notoriously absent from the training programs of the average gym-goer. We will dive deeper into the specifics of how to integrate these movements into a broader plan (and whether you really need to incorporate ALL of the movements) but suffice it to say if you want a fighting chance to turn back the clock on your physiology, the bulk of your training should be focused on the big lifts. Simplicity is always key. Everyone wants exercises that are new or that look impressive. The problem is, even if they are good, effective exercises, your body probably can’t handle them. People always feel cheated when they get a seemingly general program of squats, presses and cleans and they want more specifics, but see it through the coach’s eyes. As much variation as exists in the physical abilities of a bunch of 18- or 20-year-olds, you can imagine what another couple decades of bad habits and injuries can do to variability in the abilities of a bunch of older lifters. Getting super-specific and fancy is not going to be helpful. If your goal is not to be competing on the athletic stage, but you want to be more powerful, each training movement has a relative importance. There is always going to be some risk/reward consideration for an older lifter who may be dealing with a bad back or a bum knee, so choosing the right exercises should always lean towards the conservative options. For the older adult, the priorities should almost always be for the lower body, and what we would consider pulling or hinging exercises. 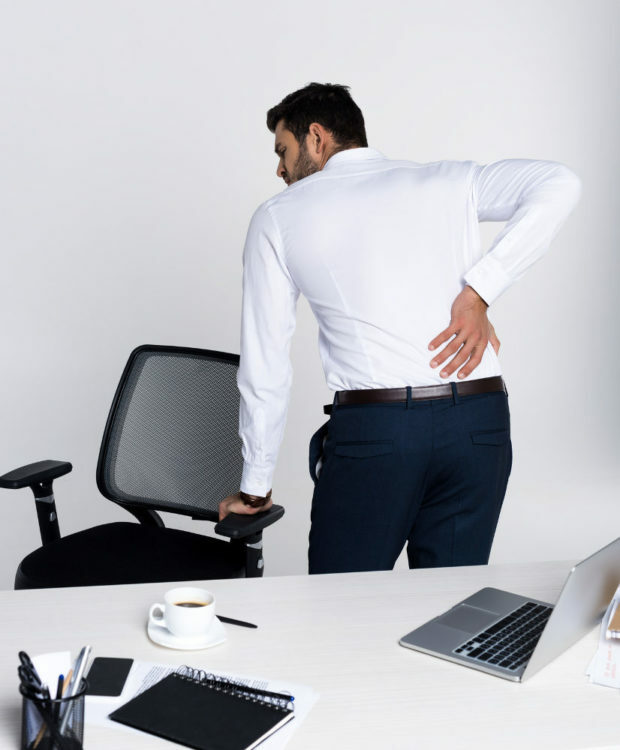 As we covered in the last article, the muscles on the back half of the body are usually painfully weak and dysfunctional from the amount of sitting we do over the course of our modern day. An emphasis on pulling/rowing movements and hip dominant exercises (Romanian deadlifts, cleans, hyperextensions) is going to complement a life of recreational pursuits and better health. Conversely, pressing movements, whether overhead or laying down, can probably take a backseat in the overall plan. It’s a rare gym-goer who misses an opportunity to do the chest press machine or bench press and our chronically slouched, seated postures aren’t helped by overdeveloping the chest. What is important to understand is that most lifters will respond well to performing full-body workouts instead of body-part splits. Training this way also places a greater physiologic demand on the body and is just a more efficient way of training. If your goal is to lose body fat or just generally fight the slow decline of aging, the less time you need to commit to training, the less stressed you will be searching for that time to hit the gym. Don’t lose sleep determining exact intensities. Your livelihood (we assume) is not based on physically overcoming another athlete, so chasing maxes or pushing yourself to the limit is not the goal. The problem is, most adult lifters following a “bodybuilding” workout are performing sets of 10, 12, 15 or more reps so slowly they are barely making any gains in strength or power. When you fall or lose balance, it’s power and strength that puts the other foot out to break your fall. When you’re running with your kids or trying to leg out a double in softball, it’s power that gets you out of the box or into that second gear. That’s where those pesky hamstring strains often show up. If it hasn’t been trained, your body is going to have a tough time handling the effort when called upon. There is a place for lifting slow and controlled, but to translate it into activity, or even recreational sports, there needs to be a focus on speed. That’s a right you have to earn. Do you need to do heavy singles and doubles? Probably not. Do you need to be accelerating the bar at breakneck speed to the point you’re almost falling off the bench? No. The most basic change is to focus on moving explosively in rep ranges that are probably lower than what you are currently doing. As we saw in our work with the Russian sports coaches and our own coaching, focusing the bulk of your work around 70-85% of your max (a weight that you can lift between 6-15 reps) with a fast concentric and slow, controlled eccentric phase is more than enough to develop strength and power with a nice gain in hypertrophy. Those certainly are not unmanageable loads, but the key is to lower the weight under control and then move explosively, maintaining good form. If you took the time to determine your 3RM for the foundational movements, you can work backwards to find the weights Keeping your reps in each set between the 6-12 range and using loads between 70-85% 1RM is going to provide the same effect in your training. 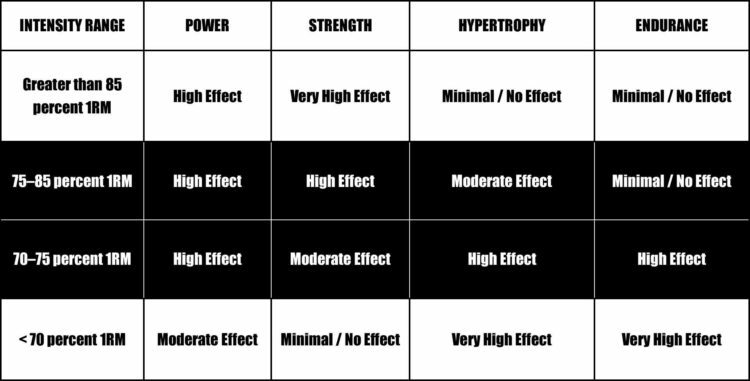 Working some days in higher rep ranges and other days in heavier, lower rep ranges is going to help develop strength, power and hypertrophy. Making the simple changes of performing full-body workouts and increasing the speed and intensity of your lifts is likely going to be a significant improvement to your current training program. Honestly, you will see generally see positive physical changes with any significant modification to your training. 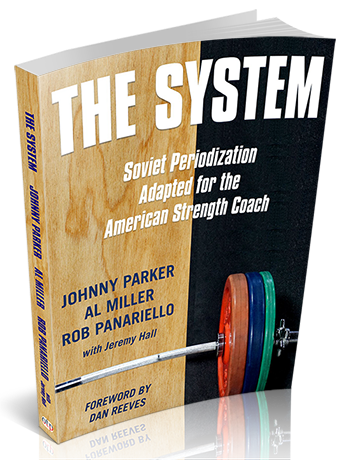 In the final part of this series, we will cover the real secret to consistent and sustained gains in strength, power and body composition by understanding how to systematically manipulate the training variables of volume and intensity, modeled after the Soviet method.